It’s backyard season. The preferred venue for summer weekends and holiday celebrations, the backyard is an emblem of postwar suburbia. 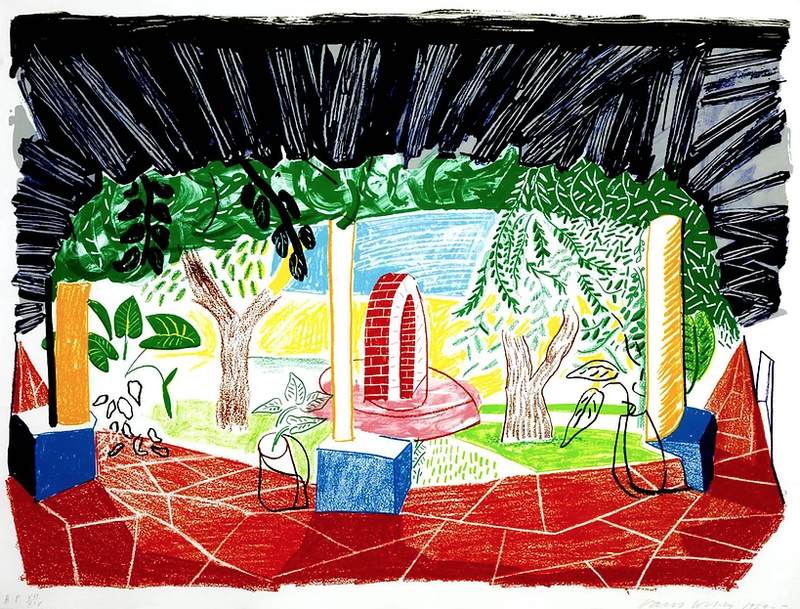 David Hockney, View of Hotel Well, 1985, Lithograph, Timothy Yarger Fine Art. Click to inquire. It’s backyard season. The preferred venue for summer weekends and holiday celebrations, the backyard is an emblem of postwar suburbia. 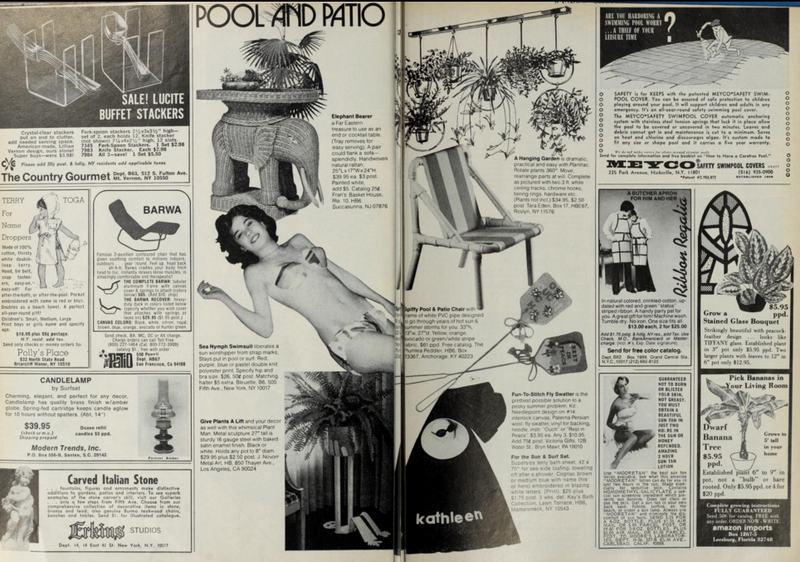 Magazines like House Beautiful (look through its archives) offered its readers the tips and gadgets to arrange their houses: a direct call to action against the severity of Bauhaus design. Backyards, as an extension of one’s home, offered its inhabitants both privacy and the showcase to selectively invite guests in. 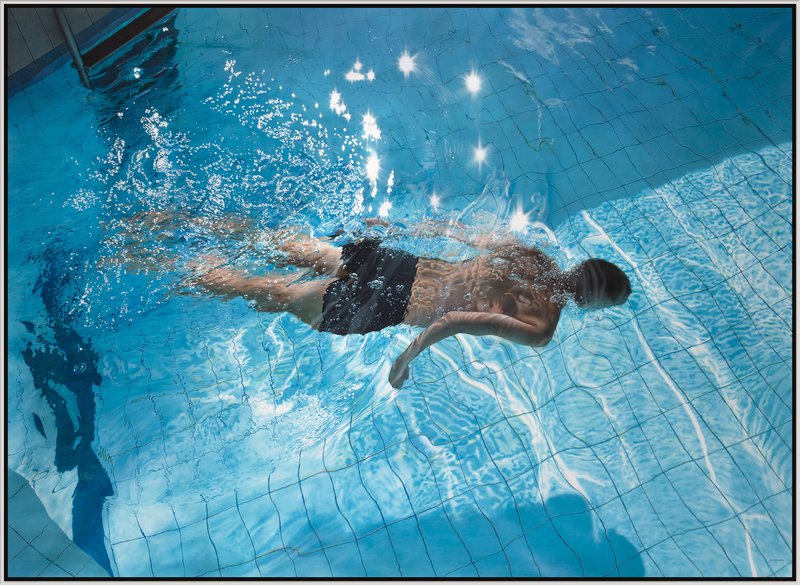 Johannes Wessmark, Dive, Oil and acrylic on canvas, Arcadia Contemporary. Click to inquire. 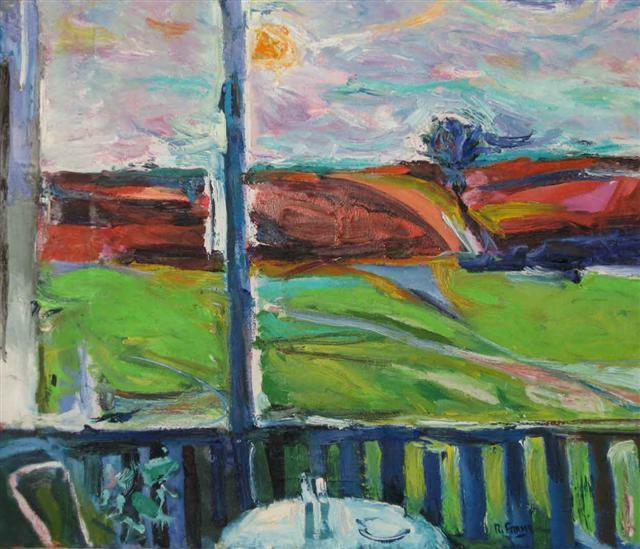 Postwar art captures the restraint of suburban relaxation. Sitting poolside in iconic prints by British artist David Hockney or the contemporary porches in Bruce Cohen paintings, color choices in both works induce lethargy. Robert Aaron Frame, Porch #2, Oil on canvas, George Stern Fine Arts. Click to inquire. These works also seem tied to a geographic area. Current museum exhibitions are curating themes around California Cool-like SFMOMA’s Diebenkorn exhibition. 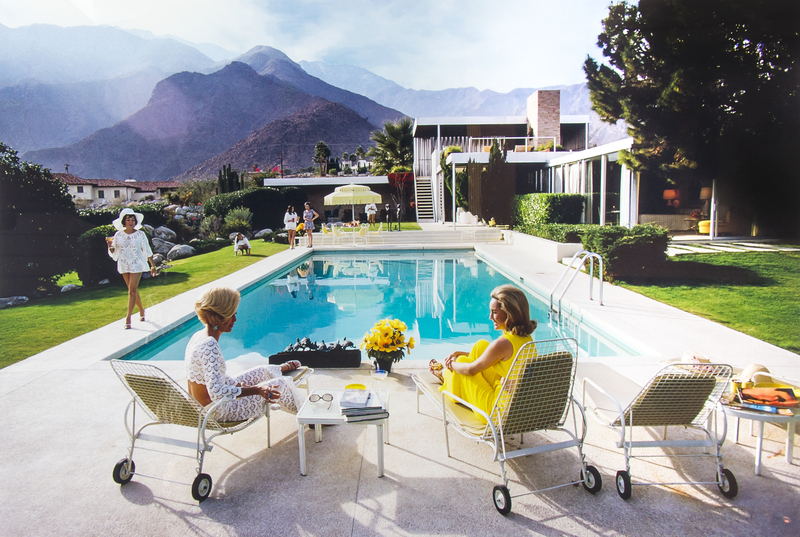 In FADA’s inventory, David Drebin’s C-print seemingly inherits the subject and style of Slim Aaron’s midcentury photos of Palm Springs’ most glamorous. Both exude exclusivity. Both celebrate the West’s (contained) openness. 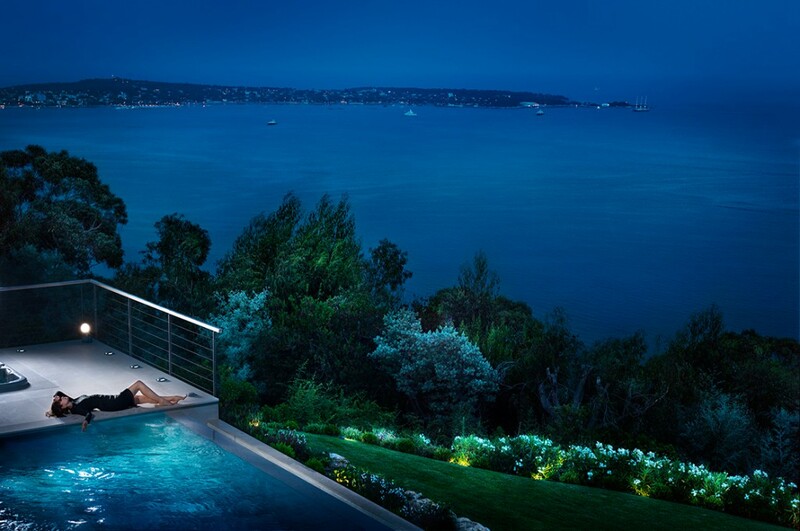 David Drebin, Dreaming of You, C-print, Contessa Gallery. Click to inquire. The backyard was the 20th century’s summer stage. With poolside accessories and equipped with BBQ prowess, its depiction in art reveals a contemporary exuberance for hosting and its importance in revealing the host's taste and style. 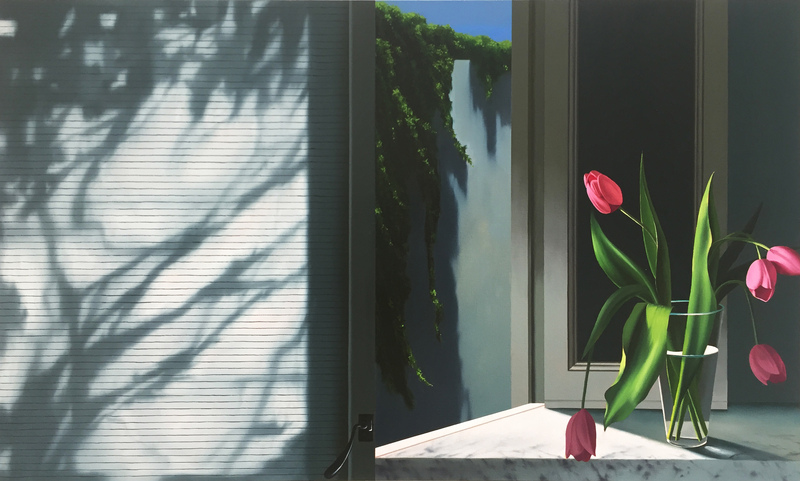 Bruce Cohen, Vine and Pink Tulips, Oil on canvas, Leslie Sacks Gallery. Click to inquire.